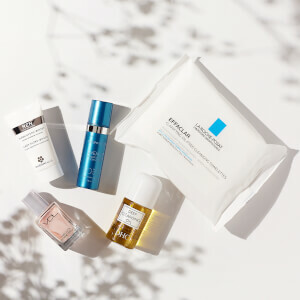 Put vitamins to work for great skin. 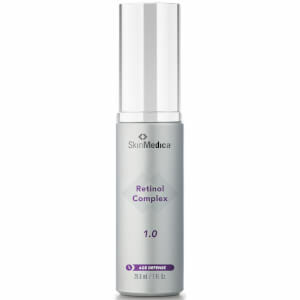 SkinMedica Vitamin C + E Complex contains a concentrated formula of powerful vitamin C to rejuvenate and restore your skin while vitamin E corrects and prevents damage. 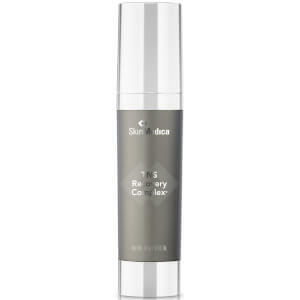 It's time released to transport the active ingredients to the skin gradually, creating a greater anti-aging effect. Ideal for those of all skin types who want to protect and heal the skin from environmental damage and improve its appearance for a more toned, younger look. Ascorbic acid (vitamin C) is a water-soluble antioxidant vitamin found in plants and produced synthetically. Tocopherol is the natural form of vitamin E that is one of the most active, natural free radical scavengers known. I think I am used to Skinceuticals CE Ferulic, so I like the serum texture better. This one feels like a silicone based make up primer, which I don't really like. Just personal preference I suppose. I know they are both good brands. As far as Fit. C, I think I'll be going back to CE Ferulic. The C Plus E Complex is very creamy. I apply with damp fingers. Do not forget to tap the bottle on your hand a few times before pumping. I am not a big fan of applying numerous products but this is the second step in my AM routine. It definitely helps my dry, sensitive, rosacea, aging skin. I think it is great. This goes on smoothly and feels great. A little tingle means to me that it is actually doing something for my skin. I have switched to this product from a Vitamin C product without the E.
This is one of the best products from SkinMedica, I have tried others but keep coming back. I researched and read numerous reviews on Vitamin C products. This one had great reviews so I gave it a try. I have been using it for almost a year and it is working well. I feel it makes my skin look healthier! This is my first bottle,so far so good. I used it a week after a face peel and my face feels great. This rich emollient formula is very concentrated, a little goes a long way. It absorbs quickly and skin feels like velvet. You also get the benefits of vitamin C and E. I personally use this product at night so my skin can "soak" up the amazing ingredients. I have combination skin in the winter and oily skin in the summer. I was delighted to find the C/E combination and was even more impressed when I tried it. Absorbs quickly and feels like a silky light powder on the skin. 'Plays well' with other products - facilitates easy layering.